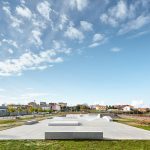 A new skate facility for the city of Navarcles is conceived as a plaza. 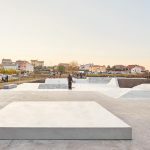 Despite a low budget to begin with, this facility for skateboarding is considered as an opportunity to contribute in the urban development of the city, transforming an old sports area into a new public park. 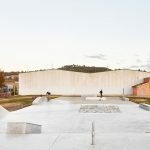 Now being an Olympic sport, the project rather departs from the fact of street skateboarding being a common and compatible reality on streets and plazas of our cities, a collateral product of urban public space design. 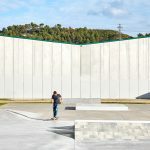 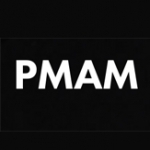 Viewed in this light, the project pursues to also structure its immediate surroundings, to set an effect beyond of what’s strictly built and functional for skateboarding. 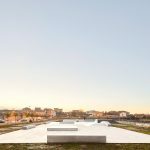 From this perspective, a field study is first made to recognize which plazas and public spaces have entailed Barcelona to become the international mecca of this urban side of the sport, in some sort of an unaware effect after the 92 Olympics transformation of the Catalan capital and its innovative design policy of the so-called “plazas duras”. 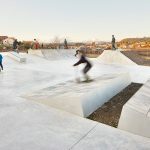 The project features real “street” obstacles inspired by some of these iconic Barcelona designs, including replicas from the original “Paral.lel” platforms, the ledges at “Arc de Triomf” or the granite curbs at MACBA. 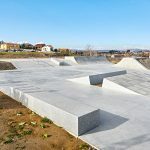 So the new skate facility is conceived as a PLAZA, a SKATEPLAZA. 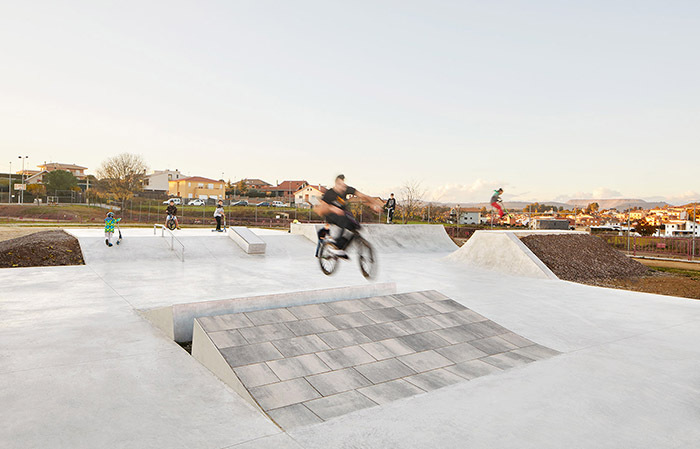 Standard public space materials are used to build it, such as pedestrian pavements or massive granite ledges and “hubbas”. 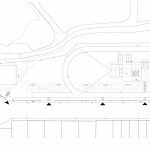 The development of the plaza extends and shapes the new park around: Ramps and banks turn into soft green slopes. 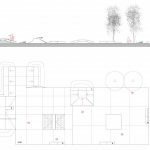 A new line of trees provides shadow for the skaters, but also defines the park space and a new façade for the industrial surroundings. 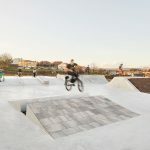 Even the higher level of the skateplaza serves as a stage towards the park, for occasional city events and for the Rock’n’Board skate festival, organized annually by the local skaters. 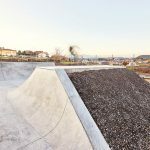 The green slopes also chase to deter any unwanted corners or graffiti, avoiding vertical facings or the need of protective handrails. 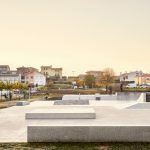 The great granite blocks subtly enclose the perimeter of the space for skateboarding.